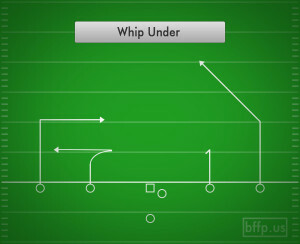 The Whip route is a simple double move that does not take as long as deeper double move routes. 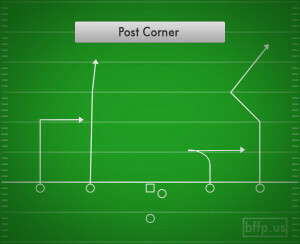 It is important to make the initial move inside look like you are running a Slant route of a quick in route. The hard move inside gets the defense flowing inside, but the quick pivot outside is even more important to get separation from the defender.